An Awesome Opportunity (and a Fun Video Clip, Too)! I have been totally slacking on blogging, and for that, I profusely apologize. This surgery has been a little more mentally/emotionally tough for me, and while there are a bajillion awesome ideas running through my head, it’s been hard to find the motivation to just type them out. Last week was especially hard! I had my 1 week post op appointment, which I showed up for on the WRONG day. I expressed that I was a little frustrated that my thighs look EXACTLY THE SAME TO ME, and that I could see some areas starting to split on my incisions on the left thigh. Don’t get me wrong. I am not blaming my surgeon, nor her excellent team. They totally let me know at my pre-op appointment that splitting was possible. Stressed it, in fact. I guess I just wanted it to be different for ME. Fortunately, earlier that day I had seen a post on The Boudoir Divas Facebook Page that they were looking for a past client to be featured in the San Diego Channel 8 News Segment for them being shot on 8/30, the next day. Imagine my surprise (and DELIGHT) when they emailed and said they’d love to have me! If you haven’t already read my post about The Boudoir Divas from last year, when I did my first shoot with them as my 75 pound loss goal present to myself, please do. I was so awed when I left…and then, I picked up my images later that week, and I got to experience it all over again…I even shared 1 or 2 with the world here on my blog! Check out that post here. These women empower other women. They have the best job ever….they make women feel beautiful, take them into a room with a GIANT flat screen, and make sure they leave OWNING that beauty. That’s a powerful, powerful emotion to evoke, and they make sure you’re having fun the whole time! It’s one of the most amazing experiences I have ever had! On my way to my doctor’s appointment, after getting the details for the next day, Marissa, one of the owners and founders of The Boudoir Divas, called and asked if I’d be able to come in the same day to do some new shots to share on the news segment. I was more than happy to oblige, but a little worried when I thought about my incisions, bruises, and overall lack of self-esteem for the few days prior. But, like I said, they empowered me so much last year; I would do anything to repay that favor, and help show people just how amazing this company is! So I went in, got my makeup and styling done by Marissa, and we got to business. When I arrived at the studio, I was greeted by Erin, who shot my first session (LOVE YOU ERIN! ), and then got to soak in the flirty, pretty, mellow vibe from the amazing décor they have. I am happy to say, I experienced all those emotions and that genuine confidence all over again. And it helped me bring a really emotional, really tough week to a positive end! They planned to reveal the photos to me the next morning, ON the news, so I got really excited when I happened to go on Facebook and saw my face staring back at me from a TBD post! The next morning, I showed up at 5 am, ready to rave about this opportunity and what it meant/did for me! I wasn’t as nervous as I thought I’d be, just concerned about making sure I did these women justice! Alisha, from Channel 8 showed up, and it was really cool to see the behind-the-scenes action of one of these broadcasts! September is Self-Awareness Month, and they featured The Boudoir Divas as an interest piece and kick-off to that (ahem, BRILLIANT), and it was amazing! Obviously, I had Sean DVR it, and had to post my testimony on my YouTube Channel! All in all, it was super fun, and just an amazing opportunity to help people who probably don’t even realize how much they helped me. It couldn’t have come at a better time. It helped me enjoy what I have, and live in the moment, and still feel gorgeous! I am working on saving up enough money to do a SuperModel Package with them after I am all healed in the next few months…I am obsessed! 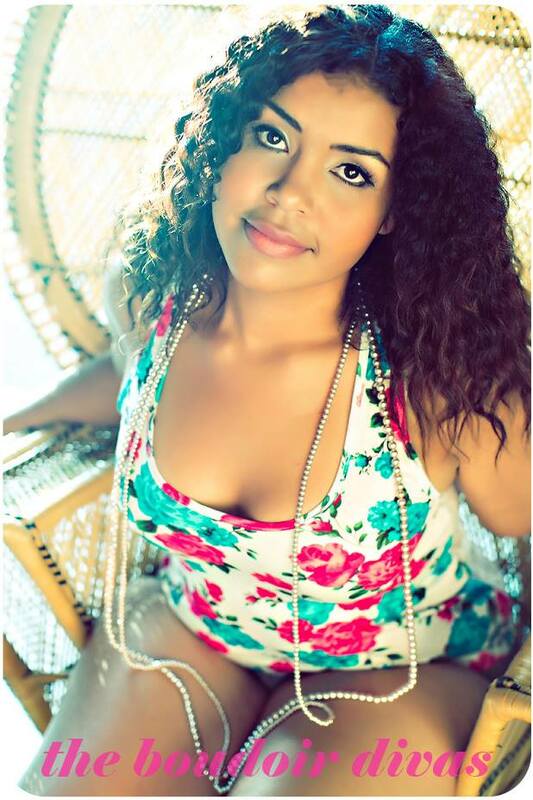 Check out The Boudoir Divas, and help them get a SuperBowl commercial! GO VOTE HERE! You can vote once per day, and you don’t even have to provide any personal information. Help them share their talent and empowerment with the world! That’s all for now! But I hope you are as inspired as me, and I hope you’ll take the leap to book your own shoot with this awesome team! With twenty awesomely gorgeous sets, and a group of women who ROCK what they do? You won’t be disappointed! Nature Box Review (and 25% off for YOU)! I am super excited to tell you all about one of my new FAVORITE Subscription Boxes. 1. Santa Fe Corn Stix: These crunchy little sticks taste like salsa! I am not typically a fan of these types of snacks, but these are just zesty enough to satisfy a salty craving, with flavors of tomato, green pepper, and onion. 2. Sweet Blueberry Almonds(Vegan): I initially wasn’t sure how I felt about these, but they are delicately sweet, with all the health benefits of yummy almonds! Nature Box suggests whirring 1 cup of these babies with a pinch of sea salt and 1 teaspoon of honey for a sweet and delicious almond butter! That would be fun to use in a smoothie, or for a twist on a PB and J! Teriyaki Twists(Vegan): These crunchy rice crackers are flavored with soy and paprika. I am honestly not a huge fan, but if you like those trail mixes with peanuts and the little salty soy crackers, you’d enjoy these! 4.Cherry Berry Bonanza(Vegan): I did a little happy dance when I saw these!! A delicious mix of dried cranberries, cherries and blueberries make the perfect topping for oatmeal, salads, baked goods, and more!! 5. Cocoa Waffle Wafers: I was also delighted to find these bad boys in my Nature Box, but I have to admit I was a little disappointed in these! They are very subtle on sweetness, but they’d be a perfect complement to a scoop of gelato or ice cream, or even peanut butter (cookie butter, if you’re like me and can’t get enough of it at Trader Joes)! 6. Cheddar Pub Pretzels (Welcome Gift): Now these are tasty!! I wasn’t expecting to like them so much, since I am more into sweets these days (I blame anesthesia), but they are really tasty and would be great for a get-together where you set up some savory snacks to pair with your favorite brew or cocktail! Although all the snacks weren’t 100% winners for me, one thing that really appealed to me with Nature Box is that after your first shipment, you can customize your snacks and pick what you want. As a person with a lot of food allergies (mango, coconut, banana, avocado) it’s nice to be able to choose rather than get something I can’t enjoy! All in all, I am really impressed with this Subscription Service! I love the convenience, and I am excited to maximize what I am sent. I know they are part of a balanced diet, and I am going to divide the snacks up into small snack baggies. Based on the serving sizes, I will have snacks for the work week for 3-4 weeks! Totally economical…and affordable! Ready to sign up for YOUR first Nature Box and see what I am raving about? Click here, and use code “REFER25” for 25% off your first order! That is a savings of $5, on the basic $19.95 package, or more if you have more people in the house and opt for a package that has more goodies arriving to you! What are some of YOUR favorite healthy snacks? 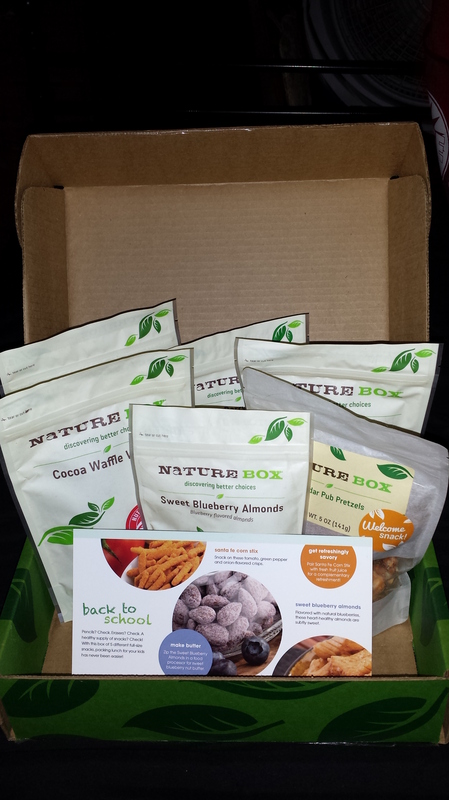 Do you think Nature Box is right for your healthy lifestyle? I want to hear all about it!!! That’s all for now, but I have Subscription Box fever, and more to share soon!